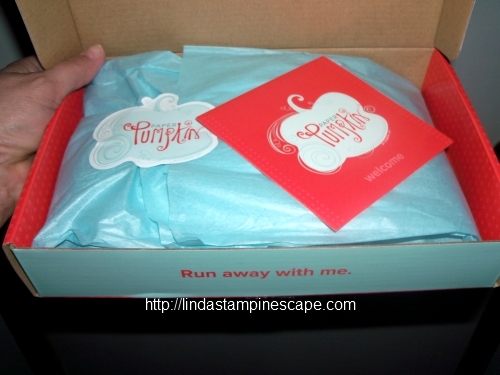 Today I want to share a fantastic promotion that Stampin’ Up! just released … along with the special, I want to share some cards that show our wonderful bundle. 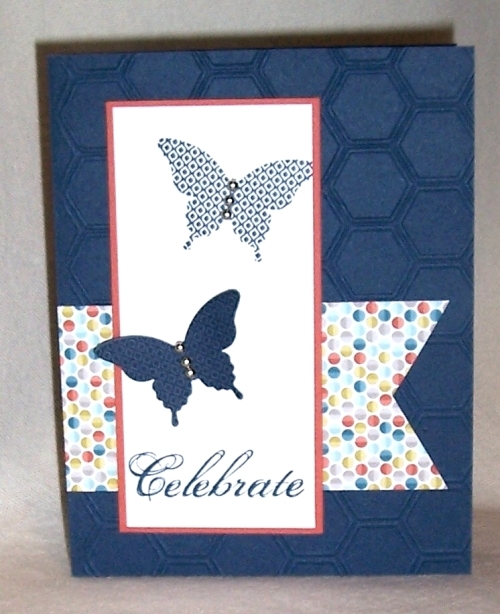 Save 15 percent when you buy the Papillion Potpourri Stamp Set and Bitty Butterfly Punch together. 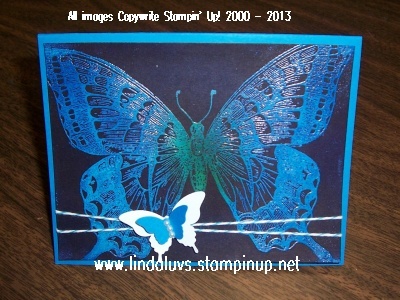 Here are some great card samples that I have collected, that highlight the “Papillon Potpourri” stamp set and / or the “Bitty Butterfly Punch”. Some of these samples were “swap cards” … so my apologies that I can not recognize the original artists. So let me know what you think about the new promotion, and the card samples you’ve seen today. 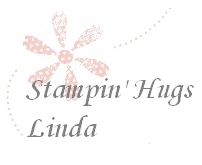 Just a quick post today to show you what’s new at Stampin’ Up! Just in case you haven’t seen it yet. 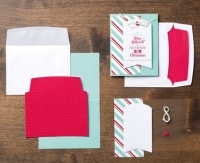 First I am going to share the new Envelope Liners Framelits Die (132172) found on page 37 of the Holiday catalog. 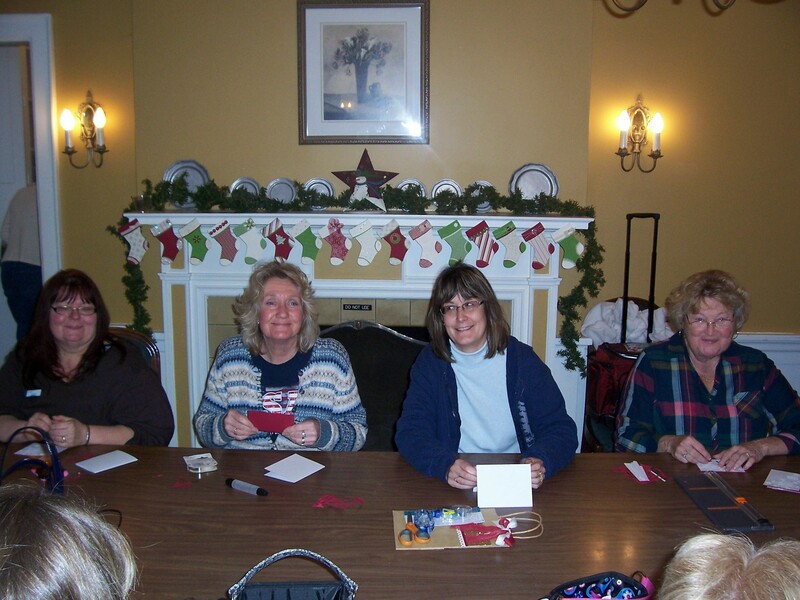 The ladies who were at my Christmas stamp camp … you got to see it close up. 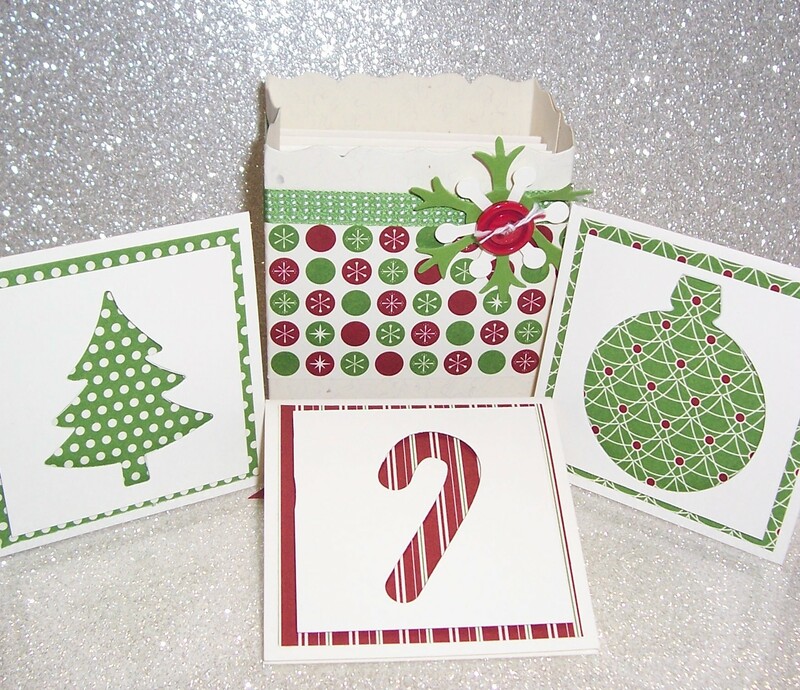 My attendee’s also got to use the “Merry Little Christmas” Simply Created Card Kit (132158) which includes envelope liners in the kit. In fact, everything you need to put the kit together (except adhesive) is included in the kit! They were a big hit! 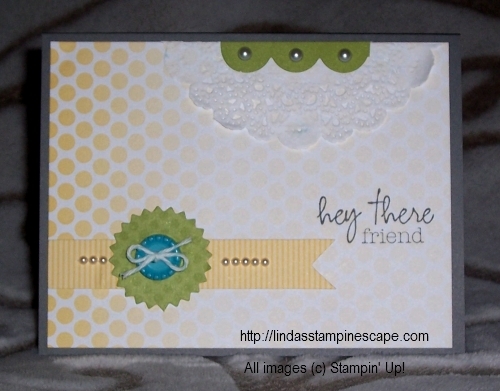 Here is another fun die Stampin’ Up! has introduced this year … the “Gift Bow Bigz L Die” (129977). That is also located in the Holiday Catalog on page 37. Eileen won her’s at Convention this year! How cute is that! I’ll be showing you different things you can do with your bow die in upcoming posts. Stampin’ Up! has also introduced “NEW” Single Stamps … Just click the link below to view all. Not sure why I couldn’t get that little sticker to show up! I guess sometimes these computers and their components have to show us they are in control. Hope you enjoyed seeing the new products … I will return tomorrow with another project! First, I sent out an invitation to my annual Holiday Retreat and it has filled within 36 hours of the announcement! Holy cow, I feel like Garth Brooks … selling out his concert in record time. I am so thrilled to be able to host my stampin’ retreats for you. Second, I held my Christmas in July… Oops August Stamp Camp, and although we didn’t have the attendance we normally do – we had a great time! 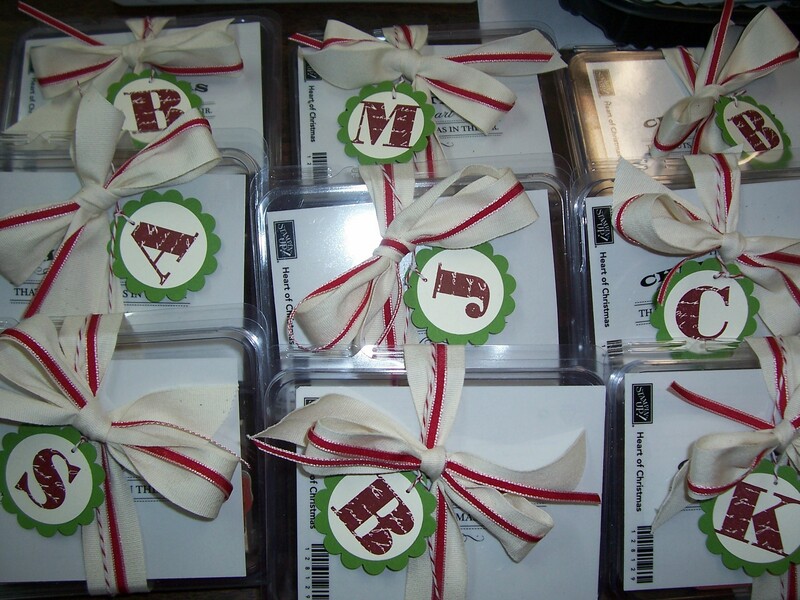 There were great cards, door prizes, and the ladies got treated to a plate of “Candyman on Main” Chocolates! I think my new job as manager of the candy store is a big hit! Thanks to all who are signed up for retreat and those who attended the stamp camp! Today I wanted to share a different fold style of card, with a fall flair. With this heat wave we’ve been having, I’m looking forward to those “warm” … not hot days, and cool nights. 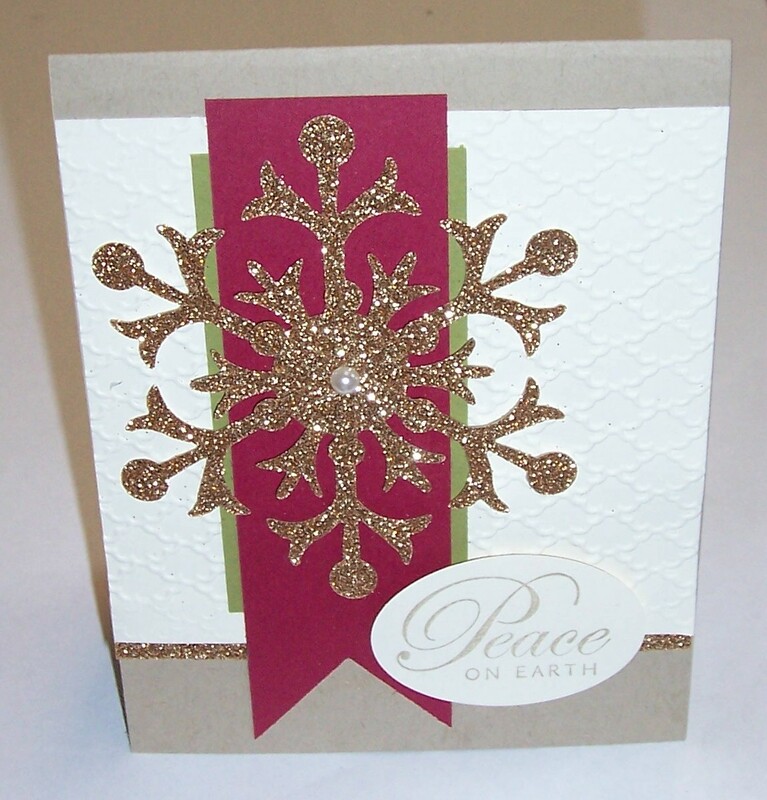 Speaking of “cool nights” … I used the “Sweater Weather” Designer Series Paper for my card. I never favored the “Crushed Curry” before but it really makes this card pop, and works so beautifully with the Chocolate Chip and Tangerine Tango colors. 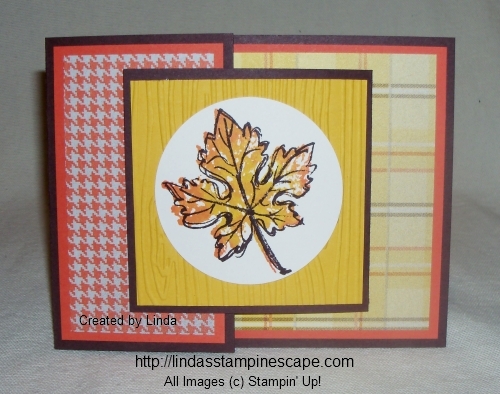 I used the “Falling Leaves” stamp set as my focal point … and the “Rock -n- Roll” technique to get the multicolored leaf. The “Falling Leaves” stamp set is a “Two-Step” Stamp, so you’ll get two techniques in one! 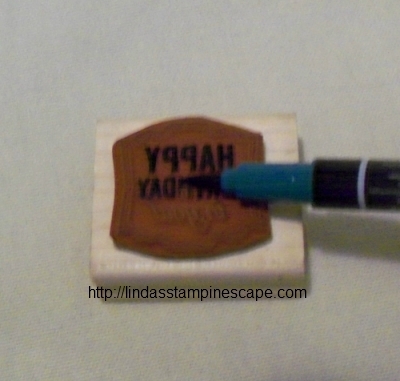 ** Begin inking up your solid stamp with the lightest color, I used Crushed Curry. 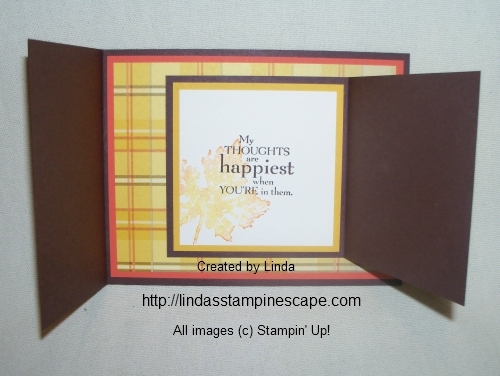 Then touch the sides of the stamp with your darker color – in this case I used the Tangerine Tango. Because my new pads are soooo new … they are very juicy, so I bounced my fingertip across the stamp to blend them a bit more. Then I topped it off with the “detailed stamp / outline of leaf” with the chocolate chip. Since I had a bit of ink left on my bold/solid stamp … I huffed (using your breath to re-moisten the ink) my stamp and stamped the image onto the inside of the inner card. It comes out very light but adds a touch of color. If you don’t want to huff, you can always re-ink and then stamp off. Lastly, I stamped “my thoughts” from the stamp set “Field Flowers” in chocolate chip. So the “trick” to this card is quite simple …. it’s just a card inside (or on top of) a card! 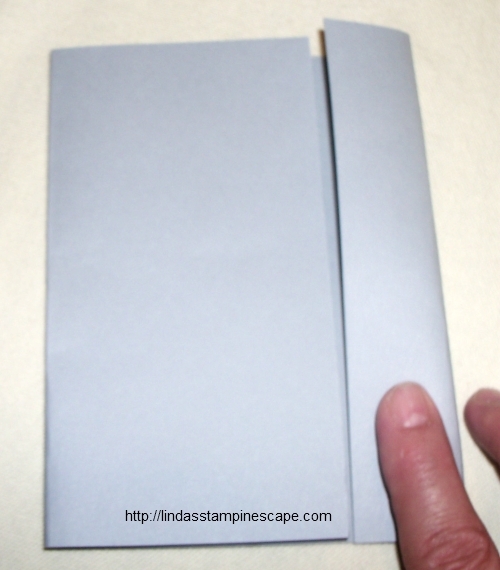 The larger or “back” folds in from the left to the right, and the small or inner card folds from the right to the left. You fold the larger flap over the small card (when open … like it’s shown above) and then the small flap is folded to close the card. I love the look, it gives you a unique dimension to your card. Hope you enjoyed! Just a quick reminder that our Paper Pumpkin Deal ends August 31st. You can try it half price for your first 2 months. You may continue or quit at anytime… it’s up to you. It also makes a perfect gift, the gift that keeps on giving. Can’t make it to my clubs or stamp camps? Have a friend sign up with you and start your own stamp night … oh what fun that would be! During convention Stampin’ Up! announced a great DEAL for NEW Subscribers of Paper Pumpkin! Use the promotion code PUMPKINDEAL to join Paper Pumpkin before August 31, 2013, and pay only $10 a month* for the first two months. *plus tax, where applicable. Shipping’s included! Here is how your Paper Pumpkin comes …. 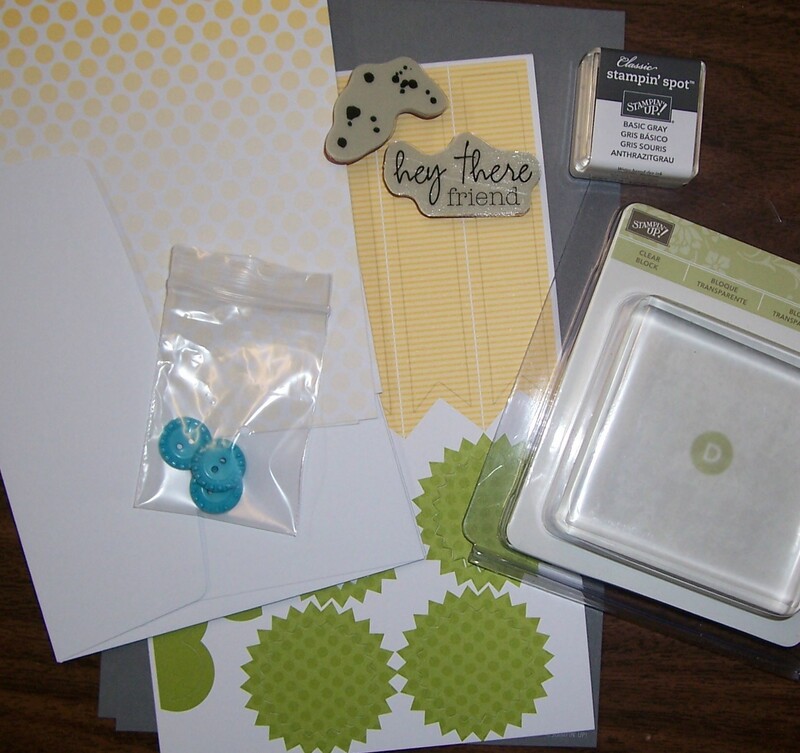 It comes in a sweet box, but you’ll really love what you find on the inside: All the stamps, ink, paper, and accessories to create pinable projects. Create stuff like cards, journals, décor, and more! This is your introductory kit. Everyone receives this kit no matter what month your sign up, after that, you will receive the projects for that month. As you can see, everything you need to create the projects are here for you! Including your block (which is worth almost the cost of the special purchase price) so why not give it a try? Remember … you can cancel at any time. Here is a bit of a “jazzed” up version! If you sign up under me … In August and then on, you will receive a different version of the card so you can get an idea of other things you can do with your Paper Pumpkin. Contact me if you have any questions. Remember, you may cancel at any time or continue to receive your kits each and every month! So many candles … so little cake! Hope you had an awesome weekend! I heard it was “hot” outside, so I never ventured out … I’ll get my share of the heat today! I always wondered why it was either “way too hot” or raining on the days I hold my stamp camps. Must be God’s way of telling me I picked a good day to stay inside and stamp! With so many birthday’s in my family coming up, I thought I would share another birthday card with you today. 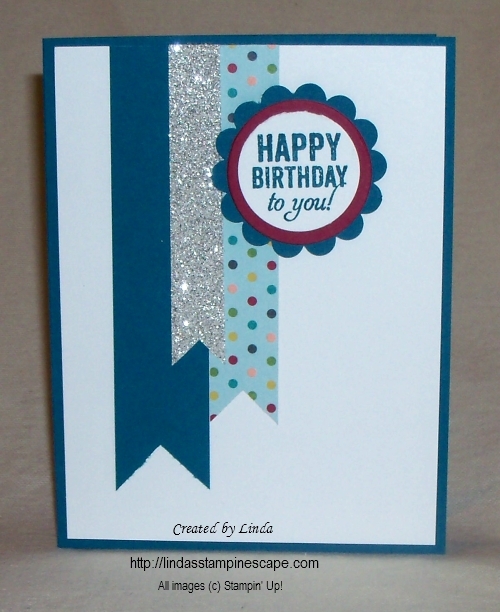 It’s quick and easy to make and as promised, I’m using the “Birthday Basics” Designer Series paper again. 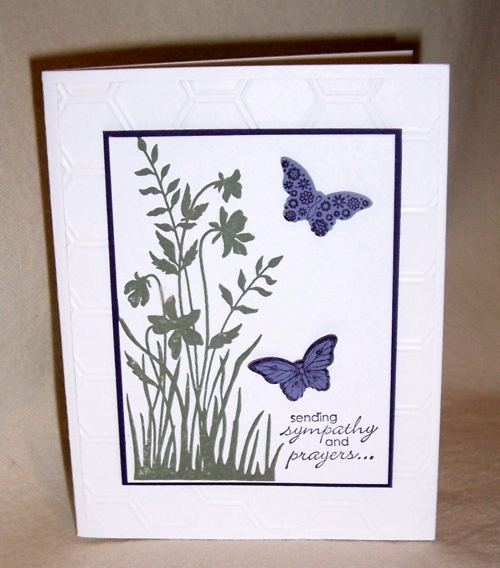 I just love the new “Smoky Slate” color, so I used that as the base of my card. As you can see, I changed up the fold of the card a bit today. I had my share of measuring things being in the Quality Assurance field for over 20+ years … so, I just folded in the larger (left) side past the center point of the card, then I folded the what was left of the cardstock up to meet the edge! I did use my bone folder to crisp up the folds. I pulled out the BigShot for this card, as I do on many… once you start, it’s hard to stop. Kind of like a good bowl of ice cream! 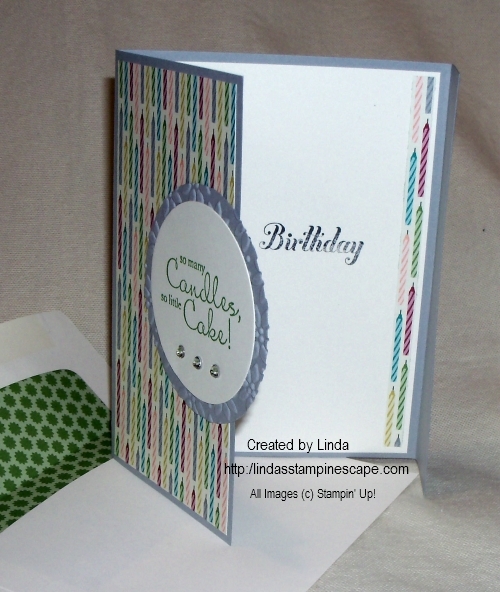 After stamping the greeting from the “Bring on the Cake” stamp set … I cut them out using the Circle Framelit dies. And since I was already using it, I thought I would try out my new “Envelope Liners” Framelit Die. Now that’s what I call coordinating your card and envelope! I also embossed the mat to my greeting with the “Petals of Plenty” folder … I was hoping to create enough dimension to look like the cute little blossoms on the designer paper. And of course, I had to add a bit of bling! 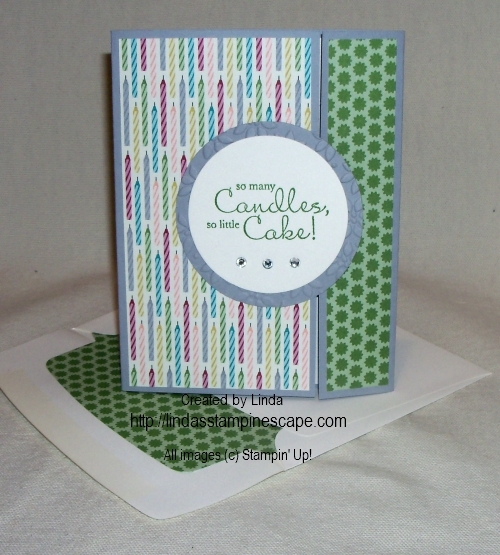 To jazz up the inside, I added a strip of the designer paper and used the Happy Birthday – also from the “Bring on the Cake” stamp set. It just finishes off the card so nicely. Here is a list of today’s ingredients. Click on the item number if you wish to purchase anything you saw today. Hope you enjoyed today’s card. 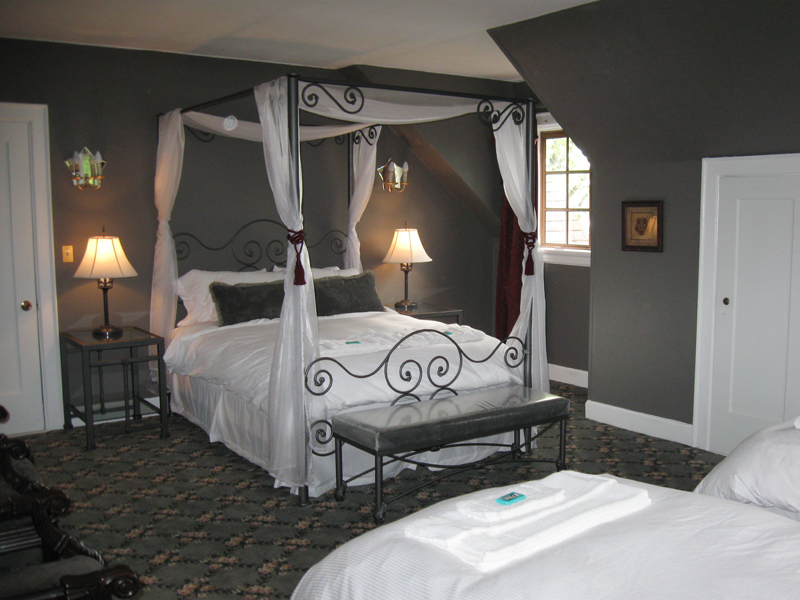 Holiday Retreat is coming …. My apologies for skipping my post yesterday, but my daughter needed me … so I had to be there for her. I’m happy that she wanted her Mom. Sometimes as they get older, they tend to talk to their friends instead of their Moms. Yes, she is OK.
Today I wanted to share a bit about my Holiday Retreat … the announcement comes out today! It is one of my most anticipated events. We had a wonderful time last year and I am so looking forward to getting together again this fall. 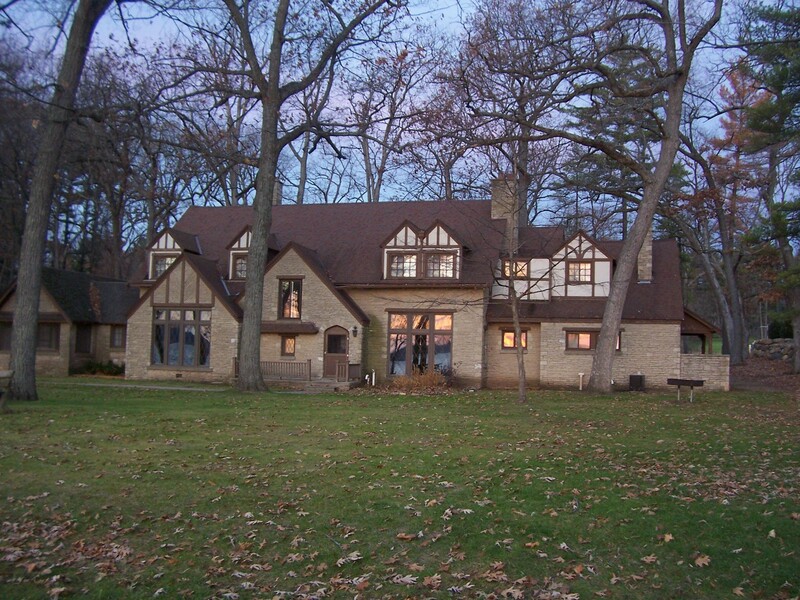 at the Christian Writing Center … and 1930’s English Manor. We stamp, we eat, and we have a blast hangin’ out with our friends and making new ones. and good food… Oh yes, one price covers it all! Here are just a few of the projects we did last year … some are cased, and some are my original designs. Either way – we have a great time stampin’ together. 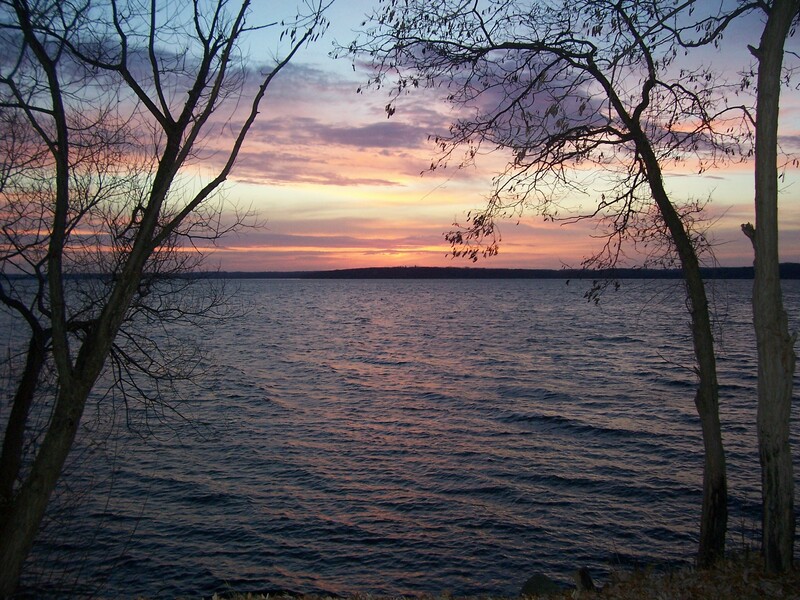 Hope you enjoyed a glimpse into our retreats. You should consider joining us sometime. Since many of us are so happy to see Friday come, I thought it only appropriate that we celebrate! So today’s card share is a cute birthday card. 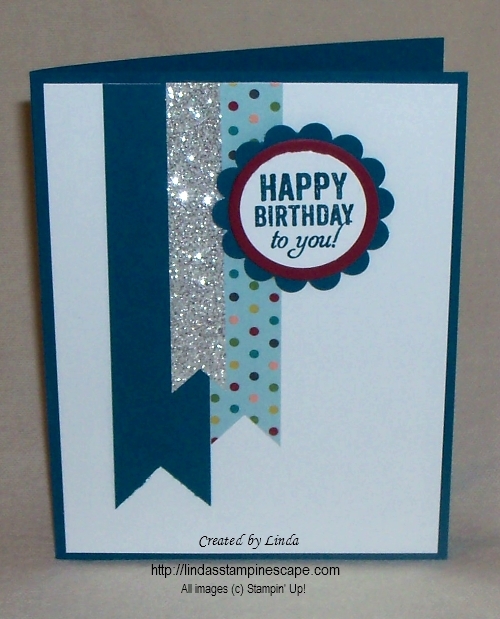 My color pallet for the card was chosen from the colors in the “Birthday Basics” Designer Series paper. The colors I highlighted were Island Indigo and Raspberry Ripple (sounds like a wine from the 70’s – lol) . The Raspberry Ripple is in the 2012 – 14 In-Color Collection. I wanted to add a little sparkle for our celebration so a chose a strip of “Silver Glimmer Paper”. 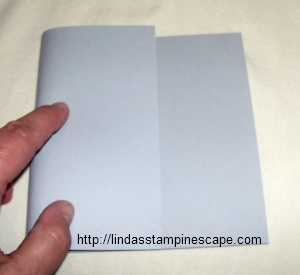 STAMPIN’ TIP: The “Snail adhesive” we usually use for our cards does not work on the back of the glimmer paper, so I suggest using “Sticky Strip”. That is truly a must have in any stampers kit. It is the only adhesive I use when creating 3-D projects. The birthday greeting comes from the stamp set: Label Love. You will however have to color in the words with a marker to eliminate the border on the stamp. Remember the stampin’ tip I gave you the other day … Color with the side of your markers, and not directly with the tip. It will save the tips of your markers and they will last a long time. I couldn’t seem to find my 1-3/8″ Circle punch so I used the Circle Collections frame-lits to add the Raspberry Ripple circle as a “pop” of color. I was so excited when they introduced the Circle, Ovals and Square Collections of Frame-lits. I think they are so versatile! I guess I will just have to show you what I mean… by posting some awesome projects using these items! Now, if you would like to make this card a bit more masculine, you could swap out the “glimmer paper” for another color – then emboss it with your favorite emboss folder to add some dimension. Then I would use another circle punch instead of the scallop … I think that would work nicely. Here is a listing of the products used and the links for easy access.